Uneven tension throughout a garment is not usually something a good knitter wants to see in her work. Certain vintage patterns did just that, whereby you would change from a smaller to a larger needle size in order to achieve a softer, looser fabric. Mohair and brushed yarns were a good choice as the hairs filled in the more open looser areas. This was also suggested in children's patterns to get the most of a pattern you had already purchased. Shaping in this manner or using a larger needle for a finer yarn can have its drawbacks. Certain yarns, when knit with too large a needle produce fabric that is just holey and not stable, which can lead to stretching. 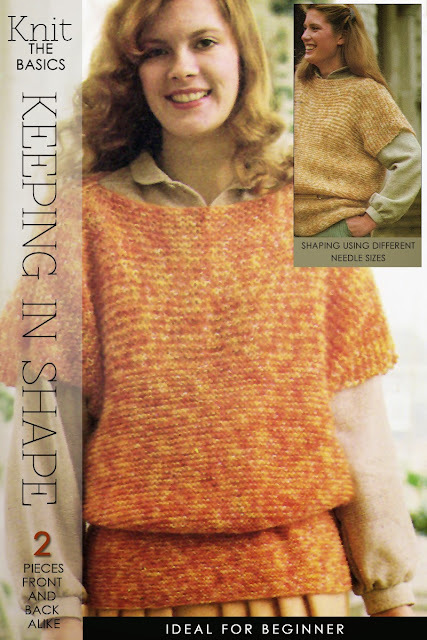 The "condo" sweater pattern was a good example of this after knitters had not washed the garment carefully which was a disaster. This is where a swatch is absolutely necessary to see how the yarn handles the difference in gauge and also how comfortable you are knitting in this manner. 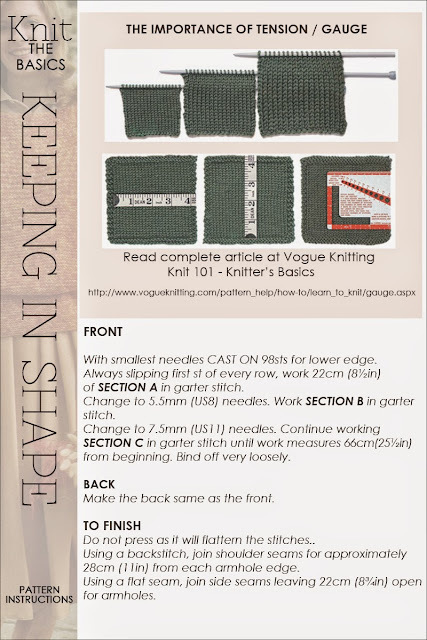 The featured pattern is ideal as you can see how the gauge shapes the top and how the garter stitch opens up as you go up in needle size. Read further to see the schematic and suggestions in making your top. 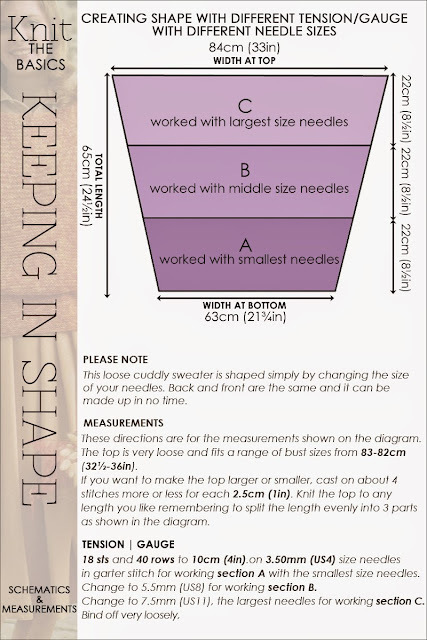 Would there be a way to do this with the largest needles on the bottom and smaller needles as you move up the sweater? That's an interesting point. The shape as described is somewhat of a inverted triangle. Depending on how and where you made your gauge changes would determine fit. You would almost have a peplum effect, maybe not as cinched in, almost empire style.